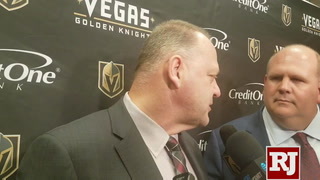 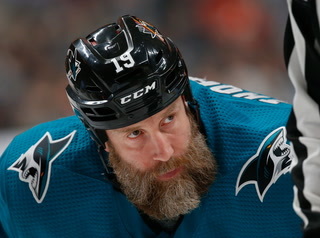 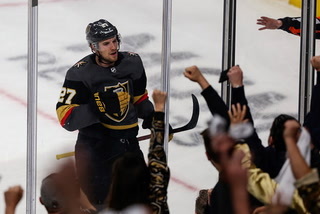 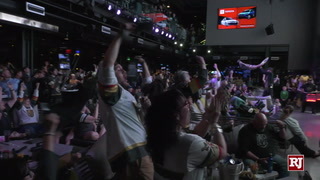 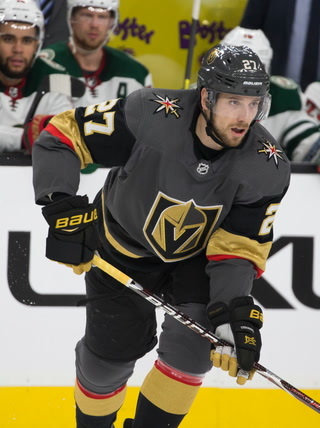 Review-Journal reporter Ben Gotz discusses reader comments on the San Jose Sharks, the Golden Knights’ assistant captains and a former Knights’ prospect. 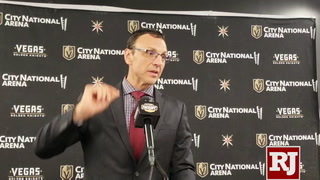 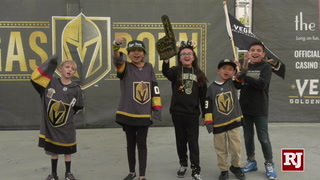 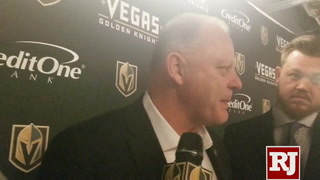 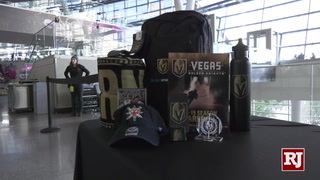 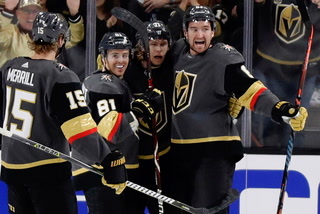 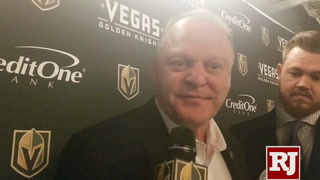 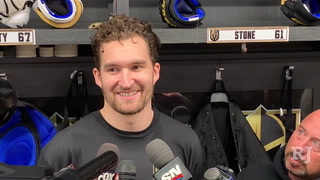 Send NHL writer Ben Gotz your Golden Knights questions and hot takes. 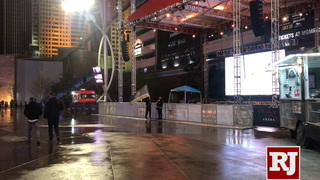 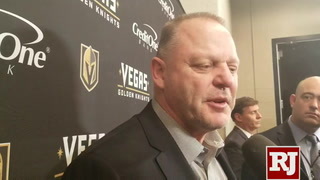 Tweet him @BenSGotz or email at bgotz@reviewjournal.com. 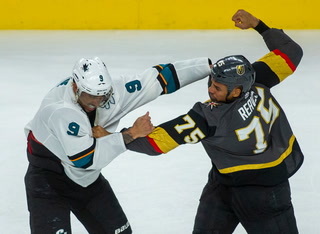 The Knights’ 7-3 win against the San Jose Sharks on Monday sure felt like a playoff preview. 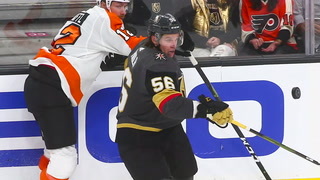 It likely was one, too. 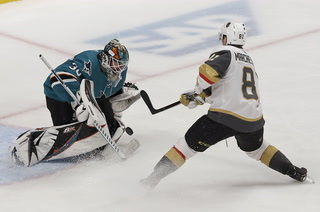 Hockey-Reference.com’s playoff simulator (which simulates the rest of the season 1,000 times) gives the Calgary Flames a 100 percent chance of winning the Pacific Division as of Tuesday afternoon, meaning the second-place Sharks and third-place Knights would face off in the first round barring a miraculous finish by the fourth-place Arizona Coyotes. 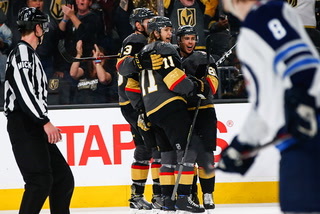 If that happens, fans should buckle up for a lot of close games. 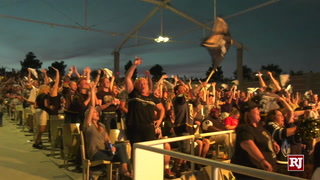 Four of the Knights-Sharks seven regular-season meetings have been decided by one goal, and two games of their six-game playoff series last season went into overtime. 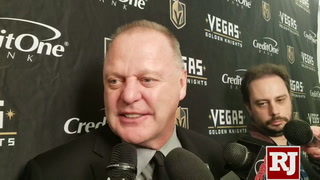 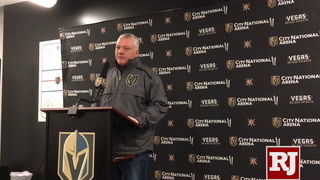 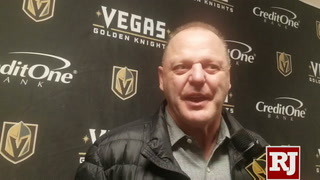 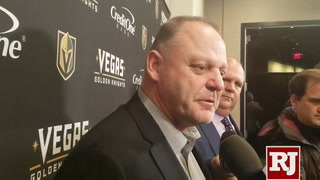 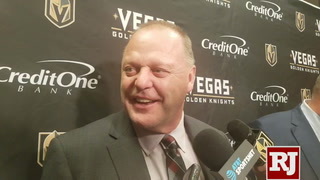 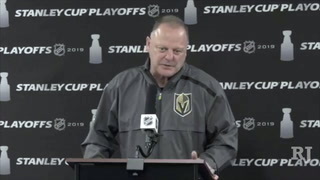 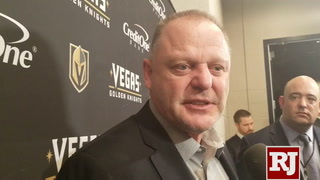 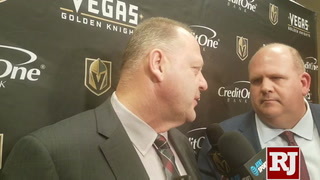 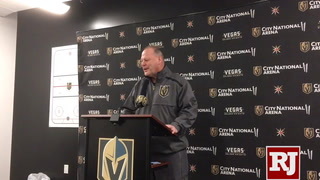 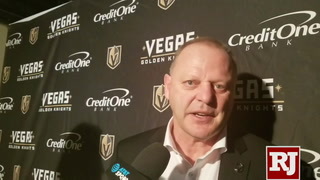 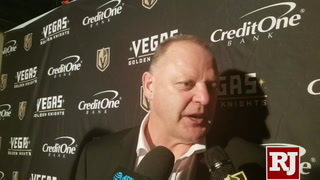 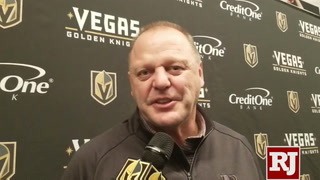 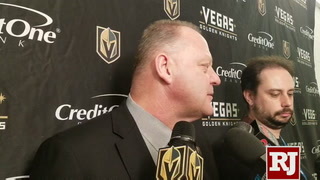 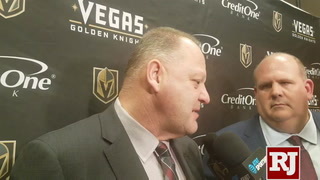 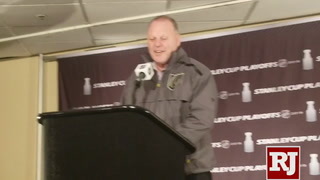 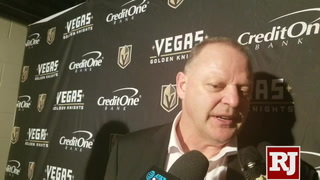 “They’re a good team,” coach Gerard Gallant said Monday. 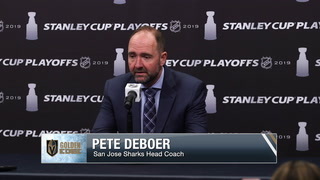 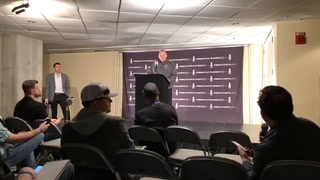 “Fortunately, we won tonight, but we had a great series against them last year. 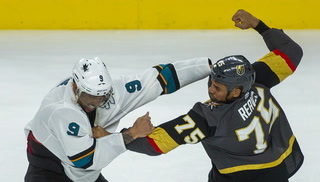 I think both teams match up real good against each other. 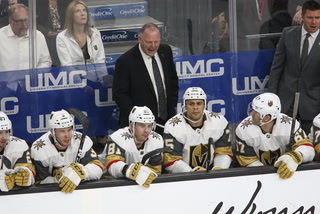 I think we play well against them. 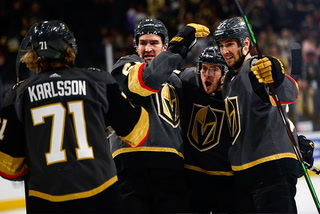 They play well against us. 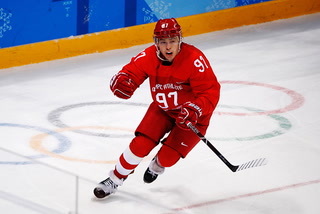 Players who wear the “A” on their jerseys are designated alternate captains. 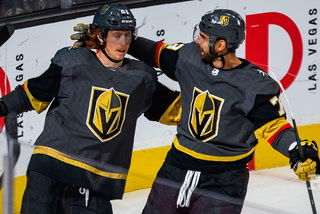 The Knights’ three for the majority of games are Reilly Smith, Deryk Engelland and Pierre-Edouard Bellemare. 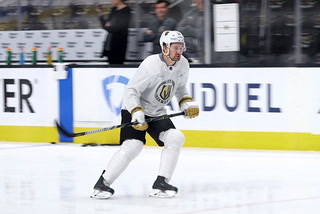 The team doesn’t have a player that wears a “C” for captain. 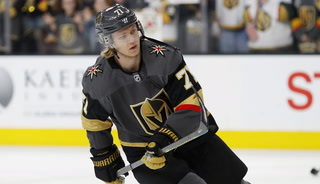 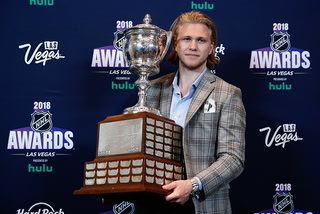 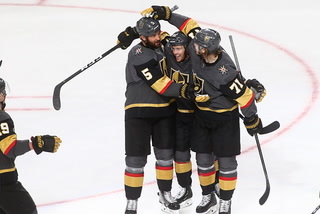 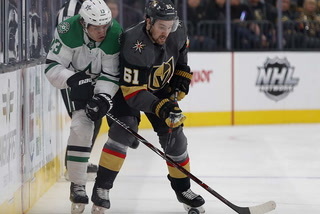 Other players who have worn an “A” this season include Nate Schmidt (nine games), Max Pacioretty (three), Jonathan Marchessault (three) and Cody Eakin (one). 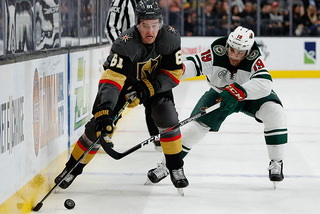 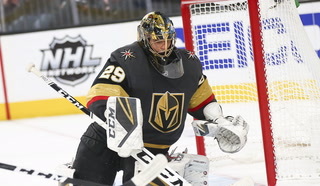 Former Knights prospect Erik Brannstrom, who was traded to the Ottawa Senators as part of the Mark Stone deal, made his NHL debut Thursday against the St. Louis Blues. 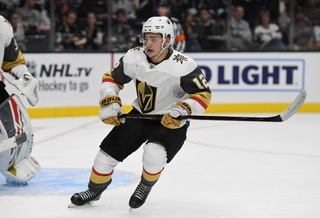 The Senators sent the 19-year-old defenseman back to the American Hockey League afterward, and he didn’t play Saturday against the Toronto Maple Leafs. 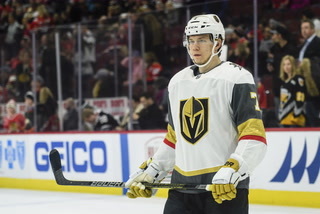 Still, the call-up seemed to motivate Brannstrom because he had three assists Saturday for the Belleville Senators.